Pacific Electric interurban no. 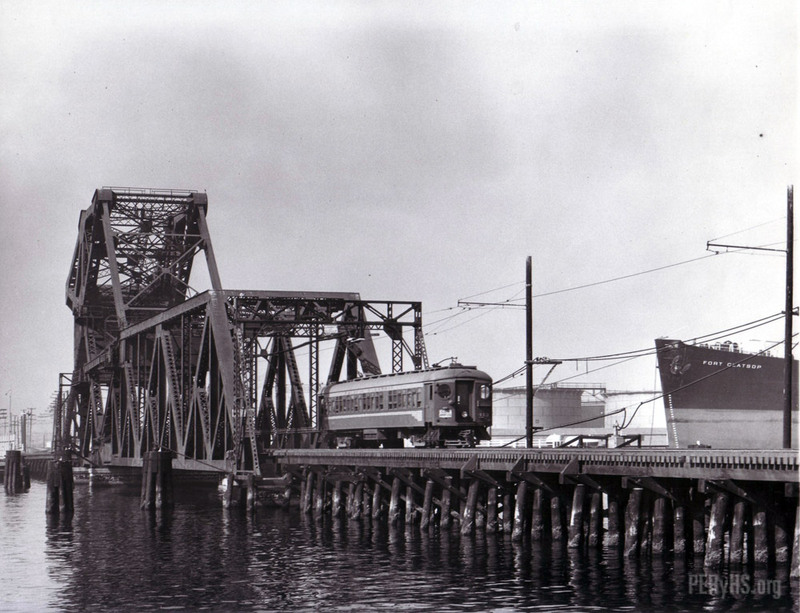 413 heads north to Los Angeles through the bascule bridge in this action shot from the Port of Los Angeles area. Note the merchant ship Fort Clatsop at the right. We can attribute this image to Donald Duke. Research is yet to determine the date of this image although I can tell you it was shot with his “Rabbit Trap” 4×5 Graflex D.